Is a Trust Safe In Bankruptcy? I have debt as an individual. I also have a trust that has assets and no liabilities. My wife is the trustee. 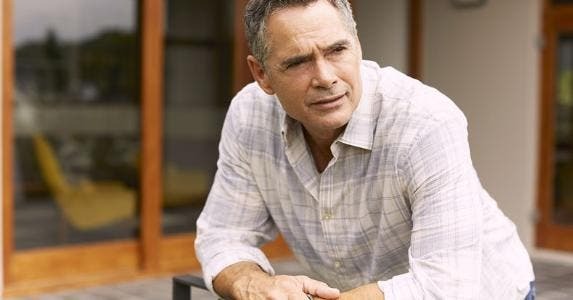 If I file bankruptcy as an individual, can they attach the assets of the trust? I bet your question will immediately anger and frustrate people who believe everyone should pay back all debt they voluntarily accumulate. I know you are just asking a question, but as you can imagine, most people will not receive assets from a trust. To see someone trying to keep the good (trust assets) and eliminate the bad (debt) sounds like, well … most U.S. corporations. Getting off my soapbox, this is a nonissue much of the time. While I cannot speak to your particular case or all types of trusts, I can say that you must confirm who controls the trust assets before you file. Control of the assets is critical. When you file bankruptcy, a trustee is assigned to your bankruptcy case to look for assets that you own. For example, you have control over your home, checking and savings accounts, investment accounts and cars. These are some of the more common assets a trustee can take when you are not able to protect them. The trustee can take any assets that cannot be protected (or in bankruptcy terms “exempted”), sell those assets and use the sale proceeds to pay your creditors. So you will need to determine if the trust is revocable or irrevocable. FREE TOOL: Make sure there are no mistakes on your credit report. Get your report for free at myBankrate. If you have a revocable trust, the person waiting to receive something from the trust (called a trust beneficiary) does not immediately control those assets. Even though you state that your wife is the trustee, she might be the successor trustee of a revocable trust. Only when the grantor, or creator, of the trust dies does she become the trustee; she has no rights to do anything with the assets until that time. Prior to death, the grantor of a revocable trust has complete control over all trust assets. This means that until the grantor dies, he or she can do whatever he or she wants to with the assets. The beneficiaries can’t say or do anything to control the assets or influence the grantor’s activities. Once the grantor dies, the trust may now become assets of the beneficiaries. There may be some provisions in place restricting access, but the death of the grantor generally means the beneficiaries now have a legal claim to the trust. The other common type of trust is an irrevocable trust. It cannot be changed or terminated without the permission of the beneficiaries. With irrevocable trusts, the grantor has transferred assets into the trust and effectively withdrawn his or her rights of ownership to those assets. Beneficiaries may not be able to immediately access the trust, but each beneficiary has a legal right to some portion of those assets. As with everything, there may be exceptions allowing you to still file bankruptcy and protect the trust. For example, a “spendthrift” provision may limit creditor claims to trust assets even when the trust is irrevocable or the grantor has died. If the trust has several beneficiaries, it can become an even thornier issue if you decide to file. You must know all this information well before filing bankruptcy. 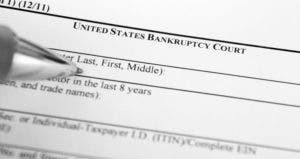 The assets definitely can be at risk if you file a personal Chapter 7 bankruptcy. You should also consider why you want to file bankruptcy. 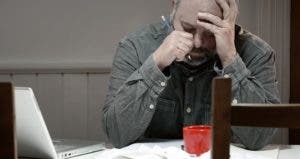 Bankruptcy is used as a way to help those who face financial hardship due to myriad issues. With a trust in the picture, it seems like financial hardship might not be at play here.